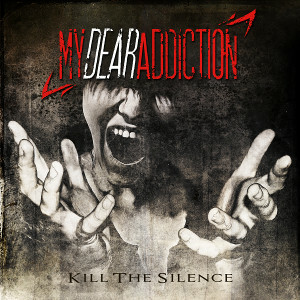 Swedish Melodic Metalcore band MY DEAR ADDICTION will release their sophomore album "Kill The Silence" on January 8th 2016 through Dead End Exit Records. 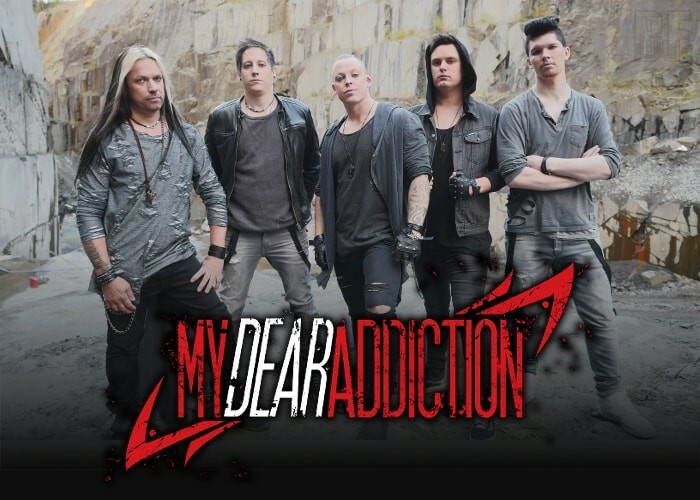 With their experience over a decade and playing alongside bands such as Raubtier, Mustasch, Scar Symmetry and Dead By April, the band has enchanted numerous fans. Their debut album "New Blood" was released back in 2010. Every song on this new album has a strong message, both in lyrics and sound reflecting the hard work and struggle leading up to the release of the album. Recorded, mixed and mastered at Panic Room Studios (Scar Symmetry, Borealis, Watain) and the album cover artwork was created by Carl-André Beckston (Blekkmark Design Studio) who has done many artworks for various bands, along with MY DEAR ADDICTION.